A site describing the history, language and culture of the people of Buganda. 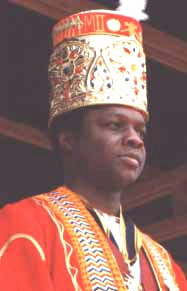 If your browser supports streaming RealAudio®, Listen to Buganda's Anthem. (Best with 28.8K or faster connection.) Otherwise get RealPlayer now, it is free! The Buganda Home Page is not an official site.